The less apocryphal aspects of bin Laden’s life are all here. The 17th of about 50 children sired by a Yemeni porter who moved to Saudi Arabia and made good in the construction industry, bin Laden showed an early piety that deepened during his college years at King Abdul-Aziz University in Jeddah, where he encountered the man who would become his mentor, Abdullah Azzam. Bergen describes the charismatic Azzam, a Palestinian, as “the ideological godfather and global recruiter par excellence of Muslims drawn to the Afghan jihad.” Azzam worked tirelessly to rustle up men and money for the cause, frequently visiting Broooklyn’s infamous Alkhifa center — a major fund-raising and recruiting center for the Afghan jihad — in search of both. If he truly was the godfather of the “Afghan Arab” phenomenon, then he’s also the godfather of many of the international terrorist groups plaguing the West today. 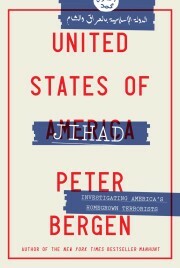 Unlike some other chroniclers of al-Qaida, Bergen never loses sight of the way religion infuses his subject’s view of the world; bin Laden genuinely believes this stuff. He’s David Koresh with $250 million and a small army of devoted and well-armed followers. If his religious fanaticism doesn’t quite make bin Laden crazy, it often does make his motives and his interpretation of events a bit opaque to the secular West. For example, when bin Laden’s agitation against his one-time friends, the royal family of Saudi Arabia, over the stationing of U.S. troops on the Arabian peninsula forced him to leave his homeland for Sudan, and then further pressure from both the Saudis and the Americans compelled the Sudanese to ask him to leave five years later, bin Laden didn’t see himself as becoming an increasingly unpopular outlaw. Instead, his flight, according to Bergen, “recalled for him the Prophet Muhammad’s emigration, or hijra, from Mecca to Medina in the 7th century.” From Medina, Muhammed waged a holy war for years until he “retook mecca from the unbelievers.” As a result, bin Laden saw his exile in Afghanistan as having a “profound spiritual importance” and as containing a promise of future triumph, however unlikely that may sound to you or me. Bin Laden, like most idealistic radicals, makes a practice of finding hope and encouragement in daunting situations. Bergen, whose 1997 interview featured bin Laden’s unprecedented claim that “Arabs affiliated with his group were involved in killing American troops in Somalia in 1993,” says he finds the Saudi’s boast uncharacteristic and “surprising.” Bin Laden, after all, had “repeatedly dismissed efforts to link him to attacks on American soldiers in Saudi Arabia in 1995 and 1996 and has denied any direct role in the bombings of the U.S. embassies in Africa in 1998,” all actions in which his operatives played more decisive roles. What Bergen misses is that the fighting in Somalia actually worked. It led to the withdrawal of American troops from that nation — the kind of result that none of his other schemes has produced. Still, Bergen’s aversion to speculation makes it good to have his bracingly down-to-earth evaluation of the notion that the CIA “created” Bin Laden and the Afghan Arabs. He labels such charges “overblown” and “not supported by evidence.” What the CIA did do, however, was commit “a significant tactical error”; that is, it allowed Pakistan’s intelligence agency — the ISI, a warm, moist breeding ground for Islamist militancy — to distribute something like $3 billion to the Afghan resistance during the war with the Soviets. This made sense in an elementary way; the Pakistanis knew Afghanistan far better than the CIA did, after all. But the ISI, serving its own purposes, funneled the aid to the most virulently anti-Western mujahedin factions, particularly to the dreaded Pashtun warlord Gulbuddin Hekmatyar, a one-time cohort of bin Laden’s now said to be contemplating an Afghan comeback.